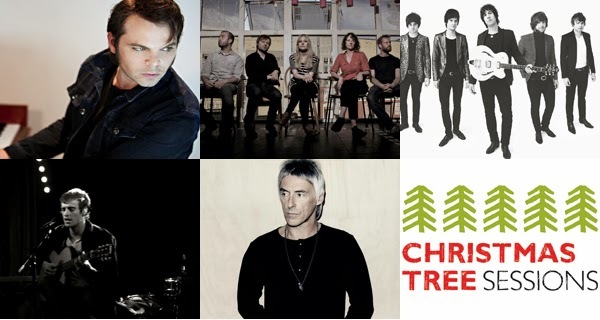 Paul Weller To Perform At Christmas Tree Sessions In London! – Paul Weller News! Paul Weller will perform at Save The Children’s “Christmas Tree Sessions” at Union Chapel in Islington, London this Thursday, 05 December. Former Supergrass frontman Gaz Coombes, indie rock bands Lanterns On The Lake and The Moons, jazz and soul musician Will Heard and Modfather Paul Weller (who’ll be performing a select number of his classic tracks). If you are unable to attend, the event will be broadcast LIVE via YouTube so you can watch the performances and festivities. Tune in at using this link, or press play below beginning at 7:30pm GMT. Previous Entry Paul Weller Makes Special Appearance With Steve Brookes For Charity Show In Woking! Next Entry Paul’s Weller Offers Up His Signed Balls For Charity Auction!